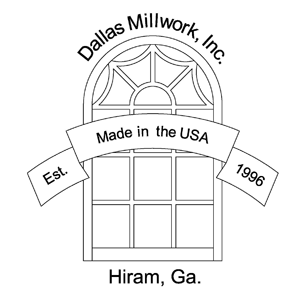 Dash Lumber & Supply has a millwork department to add style to your home or commercial construction. Our stock 6-panel exterior steel unit is ready to be installed with double-bore, 4-9/16” no-rot jamb, and brick moulding – inswing or outswing. 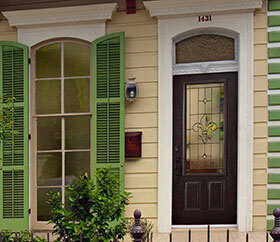 To create custom designs, we partner with a wide variety of vendors and draw from the thousands of available products. We guide our customers through the order process and help them obtain their desired look at the best pricing and fast lead times! 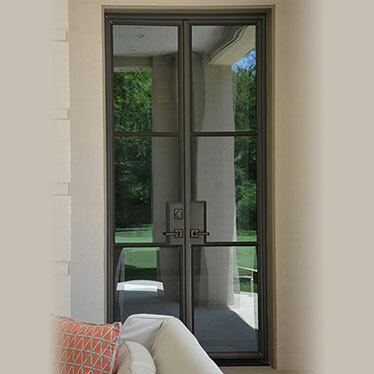 Our most common special orders include double-doors in classic and modern styles, units with decorative inserts, sidelights or transoms, plus fiberglass, steel, wood, and iron doors and fire-rated units. View our galleries to see some of the possibilities. A member of our specialized millwork sales team can quote your job from your architectural drawings and, in some cases, come on site to ensure that measurements are accurate.